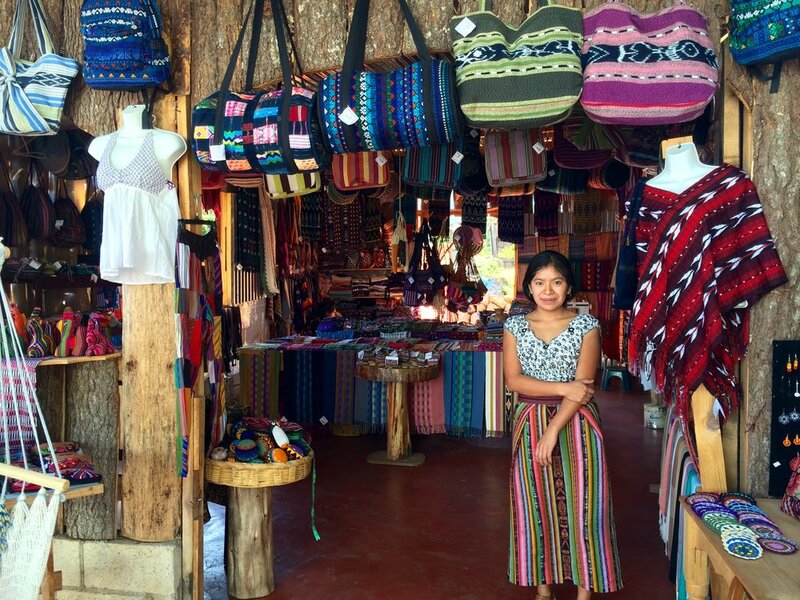 The Chicabal collection of upcycled bags are handmade from vintage Guatemalan huipils [wipils], the traditional Mayan blouse still widely worn by indigenous women. The art of hand-weaving textiles for huipils has been passed down from generation to generation of Mayan women for centuries and is an important part of the Guatemalan culture. The threads used for weaving are naturally dyed using local plants and seeds. The huipil is then backstrap woven on a portable loom and generally takes six to nine months to complete. Each Mayan village in Guatemala has it’s own distinctive weaving pattern and design, making it possible to determine a woman’s hometown by the blouse she is wearing. 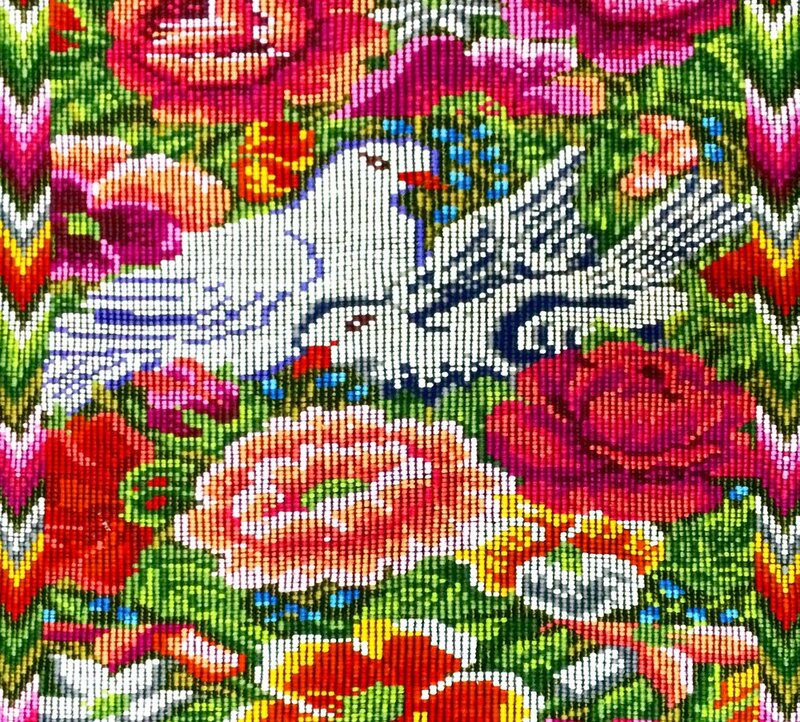 However, each artisan adds her own personality to the textile through colours, designs and patterns embedded into the fabric, making each and every huipil unique. The huipil is heavily decorated and imbued of symbols, carrying with them a wealth of meaning. In the Maya culture, clothing designs relate to the natural world and have the power to protect the wearer against evil and from supernatural harm. The huipil design often has cosmological significance with the head opening traditionally decorated with an embroidered sun, placing the wearer at the centre of the universe, surrounded by the four cardinal directions and other design elements inspired by the natural world. The huipil is still widely worn by Mayan women. Before being made into a Chicabal bag this hand-loomed textile was worn by a Mayan woman for up to 15 years. Antique huipils are re-sold at local markets as an extra source of income. Every huipil is bought at a fair price from the artisans in order to promote the survival of their ancient textile traditions. Together with our local artisans we personally handpick each vintage huipil, which are then laced with the highest-quality leather. The inside of the bag is lined with a matching up-cycled corte textile, a handmade foot-loomed fabric used as a wraparound skirt in combination with the huipil. 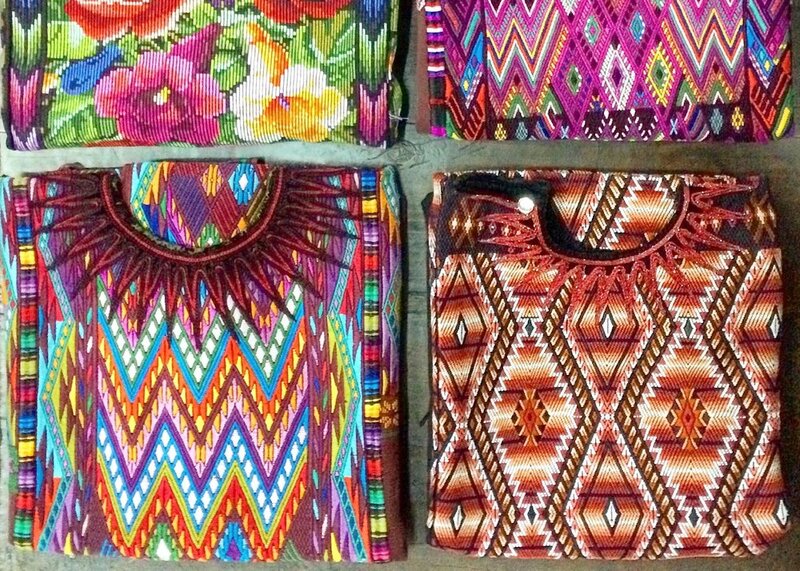 We are proud to upcycle these beautiful Mayan works of arts to create durable, one-of-a-kind handmade bags. We collaborate with local artisans and entrepreneurs in Guatemala, including women’s weaving cooperatives and small family businesses. The women’s weaving cooperative that we collaborate with is 100% female worker-owned and provides work for 20 women in a rural indigenous area where work opportunities are scarce. Women are paid half their wage when taking on a job from the cooperative, and the remaining when handing in the final products, and are guaranteed a fair wage for what they produce. They work from home which gives them the possibility to hold a job while taking care of children and household, earning an income that mainly goes to support their children’s education. We also work with a small family business specialized in great handmade leatherwork who outsource their work to other local artisans in their village, providing artisans in the community with a steady income and increased revenue by providing access to a larger profitable market.